Hello everyone! 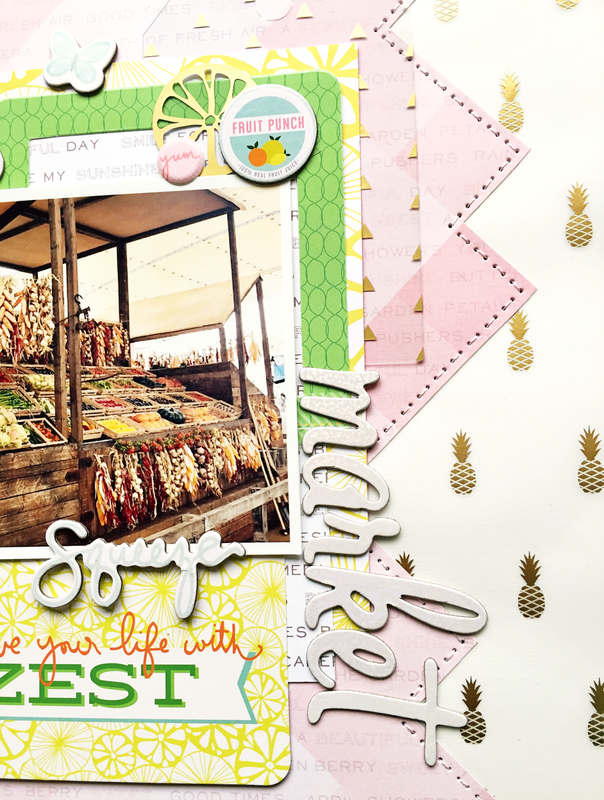 Today I have a layout to share made for Pinspire Me Monday that went live at Paper Issues yesterday. I so love the colors, I had to make something! 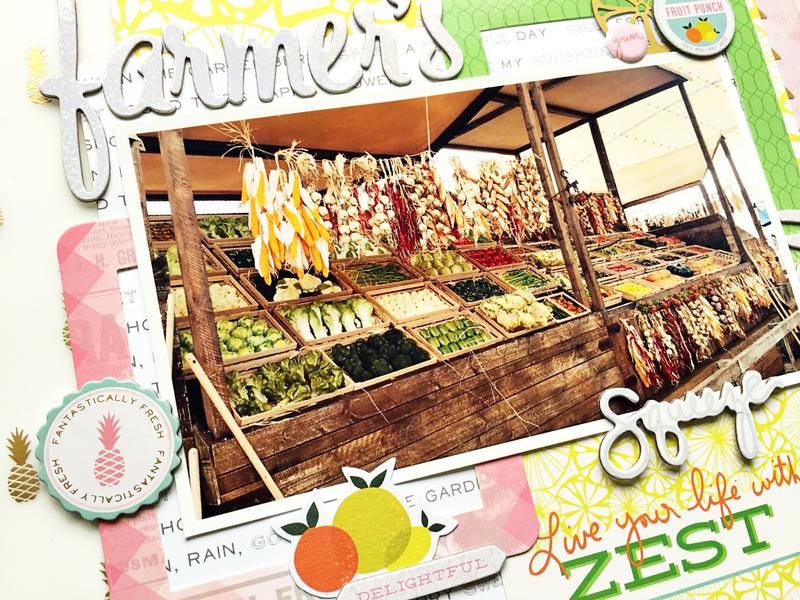 The colors of the Pink Paislee Citrus Bliss collection were perfect to document this picture taken at the farmer's market. 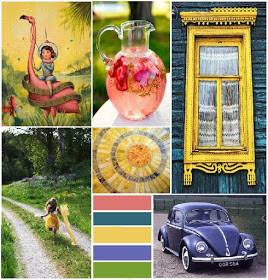 Feeling inspired too by our July mood board? 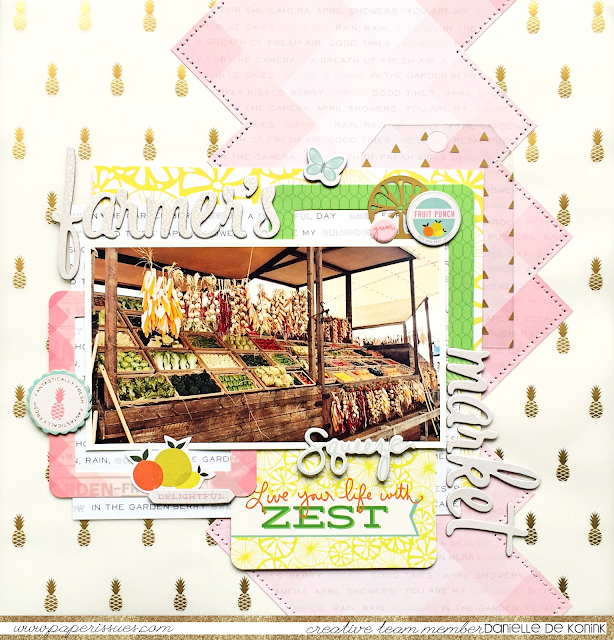 We love to see what you'll create, so link up your projects in our Paper Issues Friends & Fans facebook page! LOVE this! I love how you cut that pink paper. Really creative!